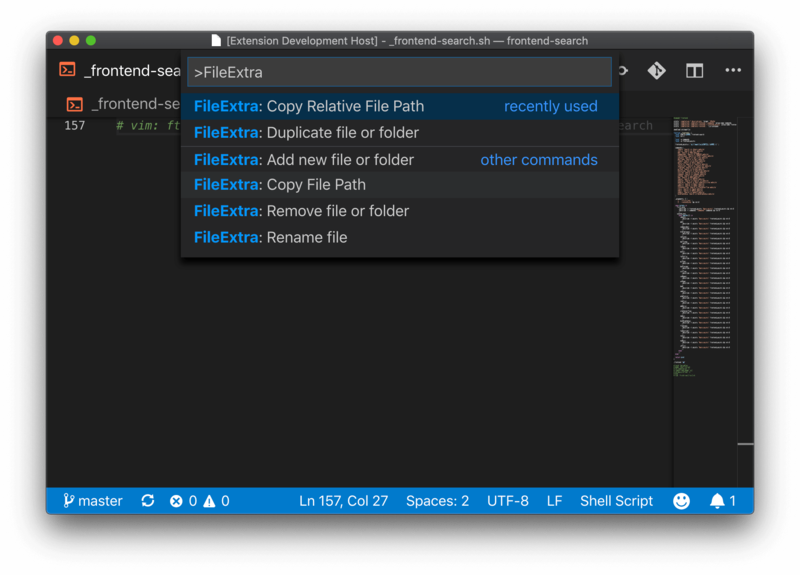 Visual Studio Code>Other>vscode-file-extraNew to Visual Studio Code? Get it now. You can check more about the package on VSCode File Extra page in VSCode Marketplace. Press F1 or type cmd+shift+p or cmd+shift+p, type ext install and press [Enter]. After that search for vscode-file-extra. Go to the explorer list of files and folder and click on the file. Type cmd+shift+p or cmd+shift+p for open the command pallete. All the commands have the prefix "FileExtra: ". 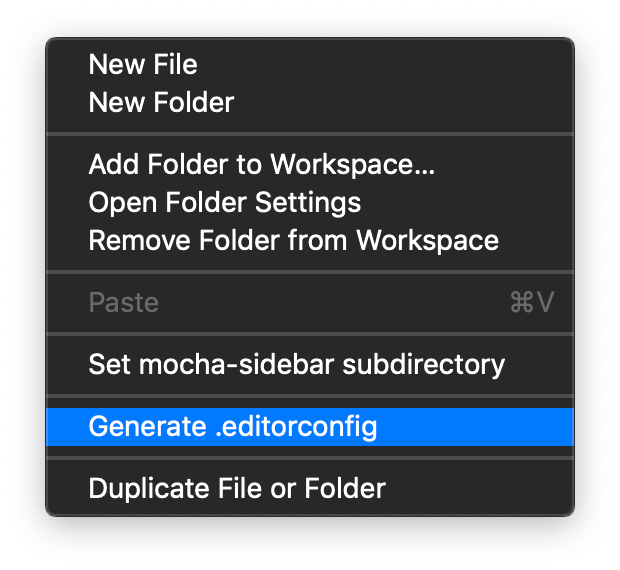 So, after that, you can select one of these commands pressing [Enter] to confirm, or [Escape] to cancel. For more details, please check vsce package on npmjs.com and read VSCode docs "Publishing Extension"